Do you need the assistance of an Arizona criminal lawyer? If you have reached this site, chances are that you or a loved what has been arrested. What are the next steps? Who do you do turn to? Criminal charges can undoubtedly change your life; threatening your employment, your livelihood, and your freedom. The steps you take immediately following an arrest may make all the difference. Fortunately, you are not alone. With the help of an experienced criminal law attorney, you can minimize the effects of your recent arrest and count on a quicker return to your normal life.The AZ Criminal Defense Group, PLLC criminal defense team is specially trained to navigate clients through complex criminal charges relating to driving while impaired or intoxicated, possession of illegal or dangerous drugs, probation violations, and violent crimes. What makes your criminal lawyers better than the others? How do I choose a criminal lawyer? Who is the best criminal lawyer in Arizona? Hiring an attorney is an important decision. While there are numerous great attorneys practicing across the state of Arizona, your pending criminal case depends on the expedient and compassionate attention of a qualified lawyer. How do you choose the correct criminal law attorney? Consider the following. 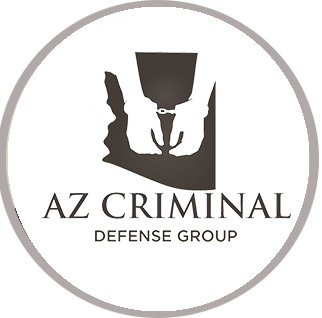 AZ Criminal Defense Group, PLLC criminal defense was built on the principle that transparent communication and excellent customer service can transform today’s legal profession. While we strive to provide clients with excellent legal representation, it is our unparalleled customer service that elevates us above our competitors. In addition, we understand that criminal charges are not limited to the typical 9 to 5 work day. In fact, many arrests occur during weekend and evening hours. This is why our attorneys are accessible outside of normal business hours. Simply call or submit a case review and our staff will make your problem our priority, regardless of the day or time. Can I afford a criminal attorney? At AZ Criminal Defense Group, PLLC we believe that people should not be penalized for lack of access to quality legal advice. This is why our attorneys offer free consultations for all potential clients to discuss their current criminal charges. Regardless of whether you hire an attorney, it is important to fully understand the charges brought against you. Regardless of what you have heard, hiring a criminal defense lawyer may be readily within your financial reach. We won’t deny that legal fees can be expensive. However, we continuously review our fee structure to ensure clients the most competitive rates around. In addition, we offer a fee-matching guarantee and flexible payment options and plans. Simply ask how. AZ Criminal Defense Group, PLLC does not provide legal services or legal advice through this or any website created and/or maintained by our law firm and provides these informative resources for information purposes only. We do not guarantee any information on this site as is pertains to law as it exists in Arizona or throughout the United States of America. Do not rely upon this information as a resource and instead seek advice from an experienced attorney in your local and practice area. Any communication including free consultation, reply to E-mail or case review does not create an attorney-client relationship. Understanding criminal law issues can occur at any moment of the day, and our dedicated criminal lawyers are available 24 hours a day, 7 days a week. Our Arizona attorneys offer unparalleled representation by emphasizing client communication and creative problem solving. Unlike large criminal defense law firms, you can rest assured your criminal case is receiving personal attention by a qualified criminal attorney, not a legal assistant.